Ketogenic Diet: How does ti Works? Is it Right for You? 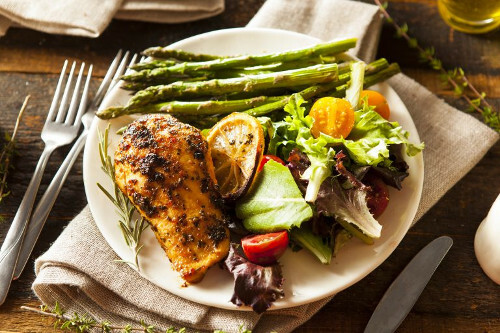 Home » Food and Nutrition » Diet » Ketogenic Diet: Is it Right for You? enefits are better than those of other diets. The primary theory behind the keto diet is that by eliminating sugary and starchy carbohydrates for energy, the body looks for ketones—a compound produced by the kidneys from high-fat foods. When your body doesn’t have carbohydrates to use as energy, it uses its preferred source of energy, which is fat. This fat comes from your diet, as well as from your body’s own stored fat, which is utilized by the ketones that are produced. Many of today’s top causes of death such as heart disease, Alzheimer’s disease, diabetes, and cancer, are linked to digestive hormonal imbalances—namely insulin and leptin resistance—all of which could be prevented with the ketogenic diet. Insulin’s job is to shuttle glucose for energy production into the cells of our bodies, while leptin is responsible for our feeling “full” or satiated after a meal. These hormonal imbalances develop in the body because of consuming too many simple carbohydrates, such as sugars and starches, which can wreak havoc on the body. So, by eating a healthy, high-fat, moderate-protein, low-sugar, and low-starch carbohydrate diet, your body will enter into what is known as nutritional ketosis. This is when the body burns fat as its preferred primary fuel instead of sugar (or starches which are simply plant-stored sugar molecules), leading to weight loss, lower inflammation, and improved cellular metabolism. If you would like to try the keto diet, start by removing all starches, sugars, and processed foods from your diet. Focus on eating natural, whole foods instead. Other foods to be avoided include peanut butter, soy products, and hydrogenated vegetable oils such as sunflower and canola. Once all unhealthy and carb-heavy food sources have been eliminated from your diet, you can then start to focus on getting your body into nutritional ketosis by consuming a high amount of dietary fat with a moderate amount of protein daily. One-half gram per pound of lean body mass each day is what you should be consuming, along with high-quality fats. Carbohydrates must be minimized and only consumed through select vegetables for ketosis to be initiated. Here are some quick reference tips to help get you started. Almost anyone can benefit from the ketogenic diet, as studies have shown that it lowers chronic inflammation, and could lead to significant weight loss. But beware, this diet may not be the right choice for everyone. Those who suffer from pre-existing medical conditions such as gallbladder disease or rare metabolic disorders and those who have had bariatric surgery need to be under strict medical supervision if following this diet. Also, people on certain medications, such as blood pressure or diabetes medication or lithium, need to consult their doctor before beginning the ketogenic diet. This way of eating is not meant to be followed for the long term and may have some side effects. The most common is dehydration. When the body enters ketosis, the kidneys release extra fluids, which may lead to headaches, low energy, dizziness, and cramping. Remember to drink plenty of water to help avoid any of these symptoms. While there is no exact science on how long to follow the ketogenic diet, I recommend trying it for 30 days to see how you feel. You can then decide if you would like to continue for another month or alter the diet to better suit your lifestyle and dietary needs. Always remember to check with your doctor before starting any new diet plan. Ketogenic Diet vs. Paleo Diet: What Are the Differences? Mercola, J., “Conditions Shown to Benefit From a Ketogenic Diet,” Mercola, September 26, 2016; http://articles.mercola.com/sites/articles/archive/2016/09/26/nutritional-ketosis-benefits.aspx. Slajerova, M., “Complete Guide to Fats & Oils on a Low-Carb Ketogenic Diet,” The KetoDiet Blog, January 29, 2014; https://ketodietapp.com/Blog/post/2014/01/29/Complete-Guide-to-Fats-Oils-on-Low-Carb-Ketogenic-Diet. “A Beginner’s Guide to the Ketogenic Diet: An Effective Way of Optimizing Your Health,” Mercola; http://articles.mercola.com/ketogenic-diet.aspx, last accessed March 29, 2017.